Revelstoke has a number of stunningly beautiful areas to explore on the water! Let our guide teach you the basics of kayaking and take you to some of our favourite outdoor spots. We provide all the gear and the shuttle, so exploring the Revelstoke area by kayak is as simple as the views are stunning. Join us for a full day of guided kayaking or learn some whitewater kayaking skills by booking a private lesson or a group lesson. 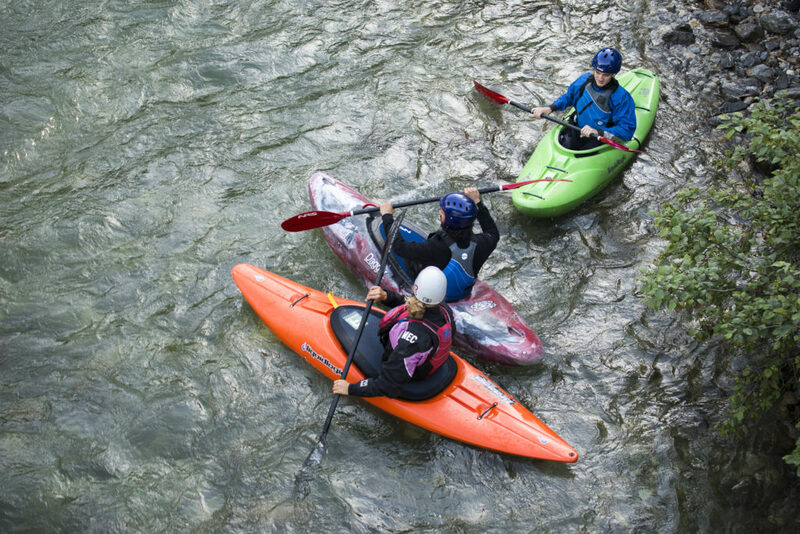 June is our whitewater discovery month! 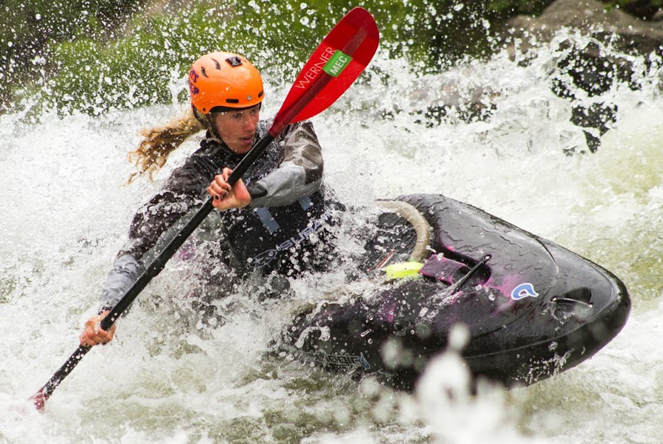 Stay tuned for floods of great whitewater activities happening in June when the water is rushing! 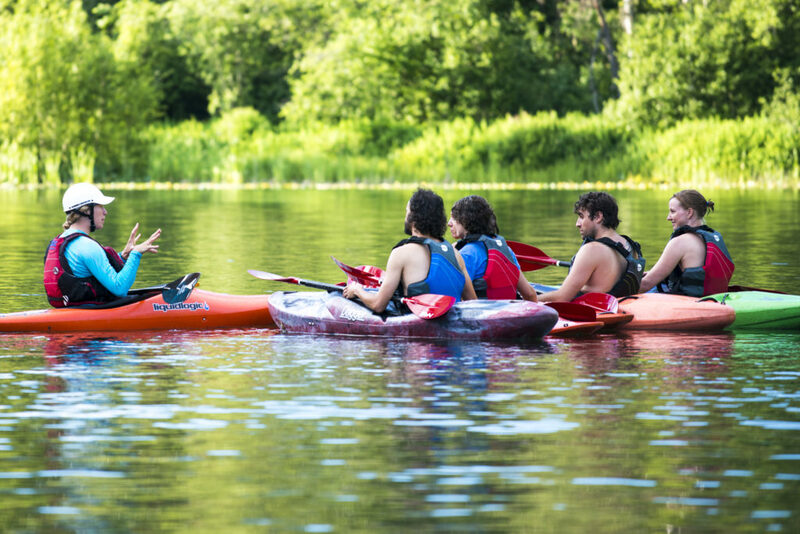 All of our kayaking lessons come with an intro session in the afternoon or evening prior to your day on the water to get gear sorted and do some preliminary skills and drills. The next day is a full day on the water with lunch as an additional $15 or BYOL. Please contact us for further information and bookings! A minimum of 2 people is required for sessions to run. All kayaking gear, professional guide, and shuttle (if needed) is included. 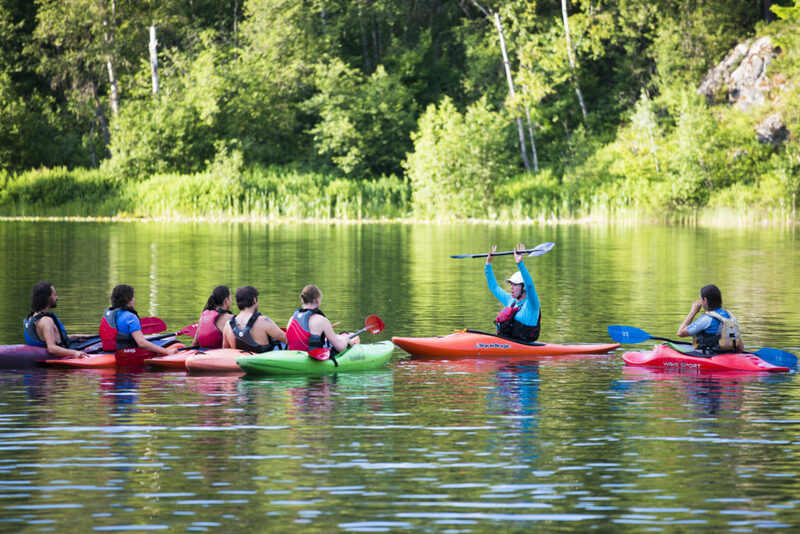 This summer Flexpeditions are holding regular kayak immersion weekends designs for beginners, intermediate, and expert level. Absolutely! At Flexpeditions we have a professional team of certified and talented guides. 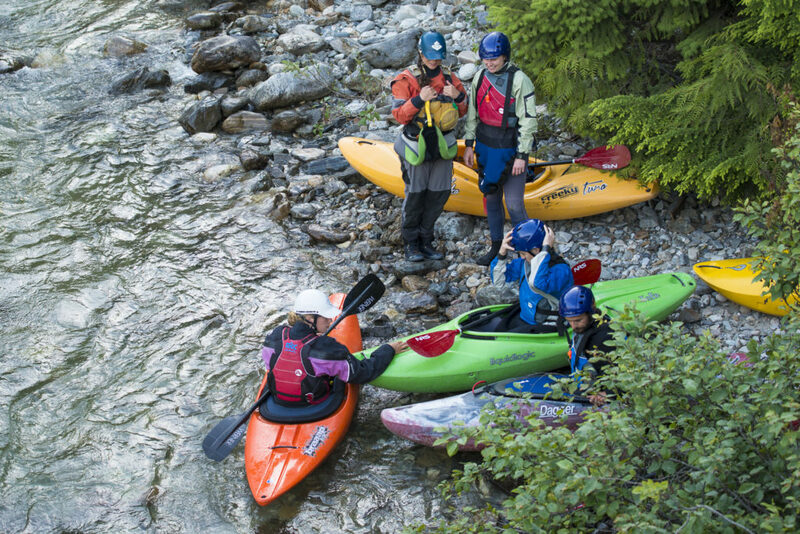 Flexpeditions is a safe, fun and exciting way to visit Revelstoke. You will learn the basic strokes for kayaking and/or improve on those skills you already know. You'll enjoy the breathtaking scenery and have a great time out on the water. Leave cotton clothing at home! Bring thermal layers. For kayaking, wetsuits or drysuit are recommended. We can provide wetsuit rentals at $10/rental. We will pick you up from your accommodation in town or advise you of a meeting location. Do you run any courses? Yes, we do! Contact us for the latest courses. We also offer rolling clinics for $50 that are designed to either introduce you to rolling or help you improve your rolling ability. Do you have any sea kayaks? We can recommend Natural Escapes Kayaking (NEK) who specialise in sea kayaking tours.